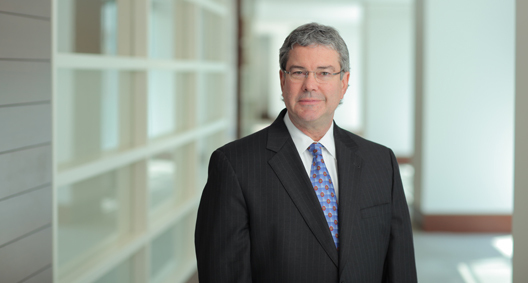 Dean Hunt focuses his practice on complex technical litigation and telecommunications and has substantial experience in state, federal and bankruptcy courts. Dean has acted as lead counsel for plaintiffs and defendants in high-profile cases, including numerous class action and multiparty litigations. His litigation experience also includes lender liability, mass personal injury, First Amendment, securities, oil and gas, trademarks, and Fair Credit Reporting Act cases. Dean represents industrial clients, engineering firms and equipment fabricators. Relying on his extensive engineering background, Dean has also acted as lead counsel for telecommunications industry leaders for network buildouts, zoning and land use, statutory and regulatory matters, and agency and franchise law issues. Dean is a frequent lecturer on e-discovery and preserving the lawyer-client privilege in a wireless business environment. Served as lead counsel in obtaining summary judgment dismissing a nationwide class action lawsuit contesting the legality of evergreen renewal clauses in customer service agreements. Served as lead counsel for a major residential mortgage lender in obtaining the dismissal of a federal multiparty lender liability lawsuit. Served as trial counsel in a major victory in defense of an international chemical manufacturer in a case brought by 59 plaintiffs involving an explosion at the company’s Gulf Coast-area plant. Served as lead counsel in numerous state court injunction proceedings brought under theories of nuisance and invasion of privacy by residents seeking removal of cellular telephone towers located near their homes. Served as lead counsel in obtaining the dismissal of a purported nationwide class action lawsuit alleging misrepresentations related to consumer billing practices. Served as lead counsel in obtaining the dismissal of a wrongful death lawsuit alleging cellular telephone transmissions caused a fatal brain tumor. Served as lead counsel for a major international engineering and construction firm in obtaining a favorable settlement in a multiparty dispute involving the catastrophic failure of oil refinery equipment. Served as lead counsel in successful appeals filed by wireless carriers under the Telecommunications Act of 1996 contesting municipalities’ authority to deny applications to install cellular transmission towers. Obtained favorable settlements of dealer termination lawsuits brought by former agents alleging unfair business practices and fraud in their agent relationships. Represented the wireless industry in constitutional challenges of taxes on cellular customers and provided testimony in various telecommunications legislative proceedings. Served as lead real estate counsel for wireless carriers and tower management companies in numerous wireless network buildouts involving hundreds of wireless transmission facilities in Texas and Louisiana. Prior to practicing law, spent ten years as an engineer and executive at a major multinational oil company.